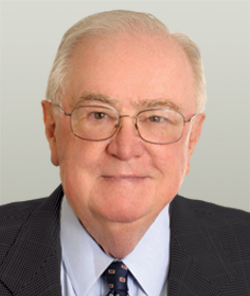 George Heery is co-founder of Brookwood Group and serves as Chairman Emeritus. He is an internationally recognized leader in both the construction program management and architectural professions. His career continues to be one of innovation and leadership. He was one of a handful of American design and construction professionals who led the development of the new profession of construction management and construction program management. In his architectural practice Mr. Heery developed advanced project management procedures for controlling time and cost through the pre-design, design and construction phases of projects. In 1974 he authored Time, Cost and Architecture, said by its publisher, McGraw-Hill, to have been "the first definitive work on construction management". In 1981 he developed a real estate and facilities planning concept, Strategic Facilities Planning (SFP), a business planning component for business corporations with multiple facilities. In 2002, he developed a modified version of SFP for colleges and universities. In 1983, after working for several years to develop a new way to organize the roles of architects, engineers and contractors, he brought the new method to a point of specific procedures. The purpose of the new method was to reduce risks, costs and post construction problems for project owners. In 1989, one of Mr. Heery's professional colleagues, his oldest son, Shepherd, gave the new method the name of Bridging. In recent years the Bridging method has been embraced by more and more owners, project managers and architects. A hybrid of the traditional design-bid-build method and design-build, Bridging retains the better features of both and eliminates those aspects of each which often cause problems for the owner. Bridging greatly reduces the owner's risks and costs while retaining full control over design and construction quality and details. During the period of 1994-96 Mr. Heery and his son Shepherd led Brookwood into real estate development on behalf of the firm's principals, developing The Wakefield, Atlanta's highest quality and most luxurious high rise apartment building (a cooperative). He personally led both the development and design work. The project proved to be a trend setter for the Buckhead area of Atlanta. In the mid 1990s he lead Brookwood into developing a set of services for the professional management of development for colleges, universities and other non-profits. Development Management includes carrying out economic feasibility studies, assisting the client in obtaining financing, managing the design and construction program, and managing all other related procurements for the complete development of alternatively financed academic, research, recreation, administrative, sports and housing facilities. In 1999 he introduced a new and more reliable system for tracking the cost of a project during design, Multi-Track / Reconciliation Costing. The method is also applicable for pre-design cost budgeting. Mr. Heery and his father, architect C. Wilmer Heery, founded Heery & Heery, Architects in 1952. George Heery became its CEO in 1961 and led the firm, later known as Heery International, to become a 500-person, multi-disciplinary professional corporation with offices throughout the United States and Europe. In 1986 Mr. Heery and his colleagues sold Heery International to British interests. Mr. Heery was required by the terms of the sale to remain as CEO until early 1989. Mr. Heery's experience in the fields of construction program management, ("program management"), construction management, development management and strategic facilities planning is long and far-reaching, resulting in the successful completion of billions of dollars of projects throughout the United States, Europe, the Middle East, Japan, Canada and Central America. He is widely known as one of the earliest pioneers in the development of the relatively new profession of construction program management. His range of experience has included projects in the fields of higher education, health care, K-12 education, research, sports and athletics, corporate facilities and a host of infrastructure projects including water, waste water, utilities and highway systems. The many design projects by Mr. Heery have included the major expansions of the corporate headquarters of The Coca-Cola Company in the mid 1980s, the Woodruff Medical Center Administration Building at Emory University, the 999 Peachtree high rise office building, The Wakefield luxury coop, and many collegiate and professional sports stadiums along with a large number of institutional, commercial and industrial projects. Mr. Heery grew up in Atlanta and Athens, Georgia, and is a World War II veteran (U.S. Navy). He holds BS and B. Arch degrees from Georgia Tech, completed the Advanced Management Program at the Harvard Business School and is a frequent lecturer on Best Practices for Owners in construction procurement and on the Bridging method. He is a Fellow of the American Institute of Architects, a member of the Royal Institute of British Architects having lived and practiced in London and the EU for several years while leading Heery International, and a Fellow of the Construction Management Association of America.